The annual MTHS Operation Snowball event was held last weekend, Jan13,14, and 15 for high school students near the Metamora area. The Operation Snowball Project is a program designed to teach students leadership skills, positive decision-making skills, and it gives them all an opportunity to form a trusting bond with their peers. Over the weekend students participate in several different activities. When they arrive they are assigned to small groups and do smaller trust forming activities within them, but also participate in activities with everyone at Snowball several times during the day. The students that went said that the activities usually ended with an emotional touch that left everyone feeling as though they could really trust the people they were with. On their final day, three public speakers came to MTHS and told their stories. They all had positive messages and had a passion for inspiring the students to take action in their lives. The students also attended a blacklight themed dance to add a more fun and lighthearted activity into the mix of the emotional weekend. 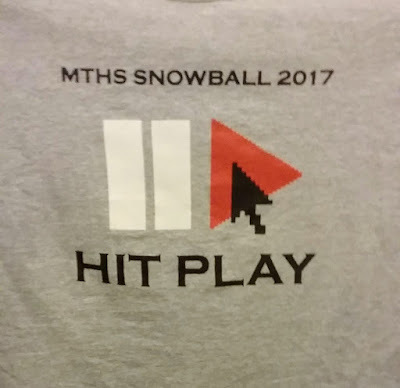 MTHS has Operation Snowball every year. Students that have gone before always say it was one of the best experiences of their lives and encourage their peers to attend as well.